Rise has some new company. Deadline reports Stephanie J. Block and Mark Tallman have joined the upcoming NBC TV show. 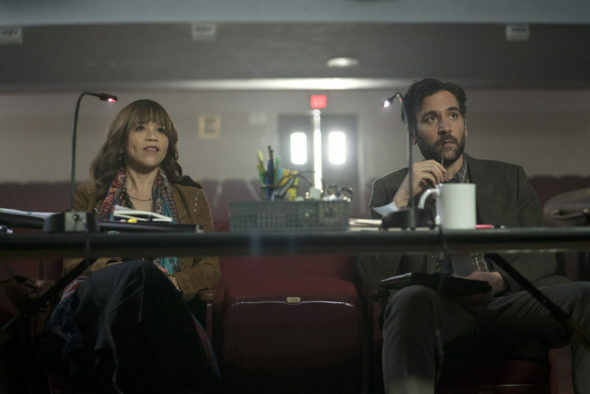 From Jason Katims, the drama stars Josh Radnor as Lou Mazzuchelli, a teacher in doubt who takes over the high school’s theater department. The cast also includes Rosie Perez, Marley Shelton, Auli’i Cravalho, Damon J. Gillespie, Amy Forsyth, Rarmian Newton, Ted Sutherland, Casey Johnson, Taylor Richardson, Joe Tippett, and Shirley Rumierk. On Rise, Block will play “Patricia, Simon’s mother, a devout Catholic who ends up at odds with her husband over their son’s involvement in a controversial high school play” and Tallman has been cast as Detrell Thorne, the single-minded father of the school’s football star, Robbie. Rise is slated to debut on NBC in 2018. What do you think? Are you a fan of high school-set dramas? Will you check out Rise? More about: NBC TV shows: canceled or renewed?, Rise, Rise: canceled or renewed?